For a lot of people, butter chicken is almost synonymous with Indian curry – and I have mixed feelings about that. 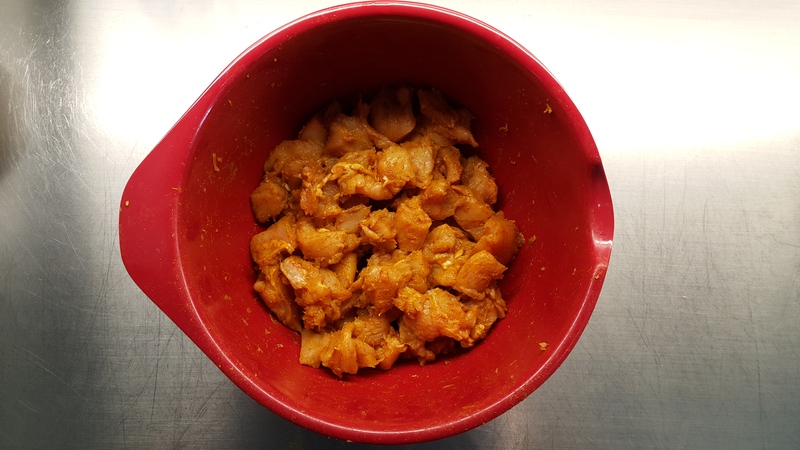 Although one of the most popular and well-known curries for a reason, over the years it’s been passed around and altered to the point it no longer feels like a genuine Indian dish. You can find it anywhere, and that’s not necessarily a good thing. From high school tuck shops to cheap cafeterias and sad, downtown food courts, you’d be stretched to find a generalist eatery that doesn’t offer some iteration of the dish. You can even get it at petrol stations in the form of the utterly horrendous butter chicken pie. Still, that’s no excuse not to have a go at cooking it. There are hundreds of different ways to make butter chicken, with varying levels of complexity. This version here won’t exactly win you MasterChef, but it tastes good, gets the job done and is simple enough to whip up in a hurry. Forget about marinating the chicken overnight or creating a gravy separately from scratch – the modern, young urban professional has no time to deal with such nonsense. 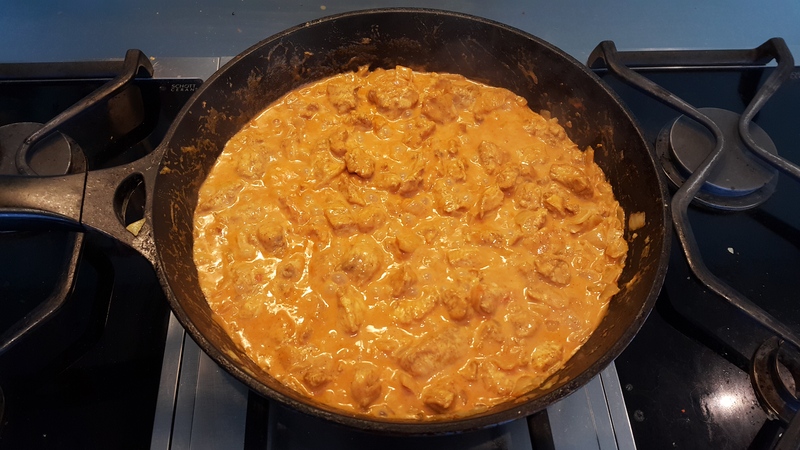 This is the kind of butter chicken you want to make when a) you remember at midday that you’re having dinner guests over that evening or b) you’re feeling particularly lazy and unmotivated. 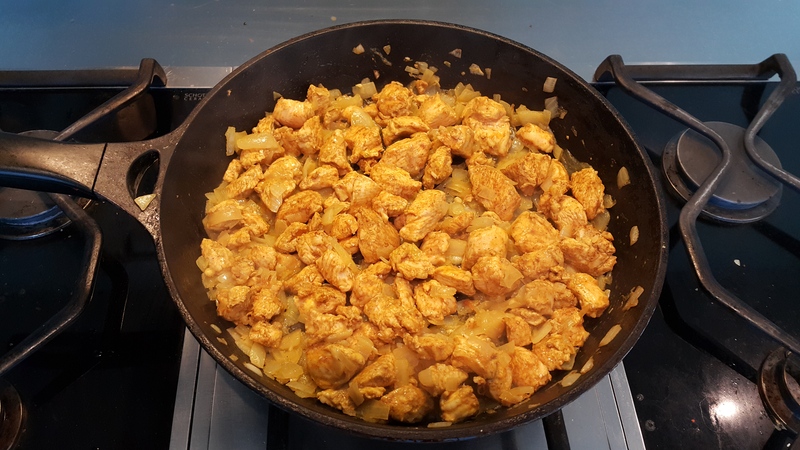 Get about 500g of diced chicken (because you don’t have time to dice it yourself) and mix well with turmeric, cumin, ground nutmeg, chilli seasoning and some salt and pepper. Turmeric, chilli seasoning, cumin, ground nutmeg + a cheeky bit of garam masala on the side to add at the end. Ready to cook in two minutes. 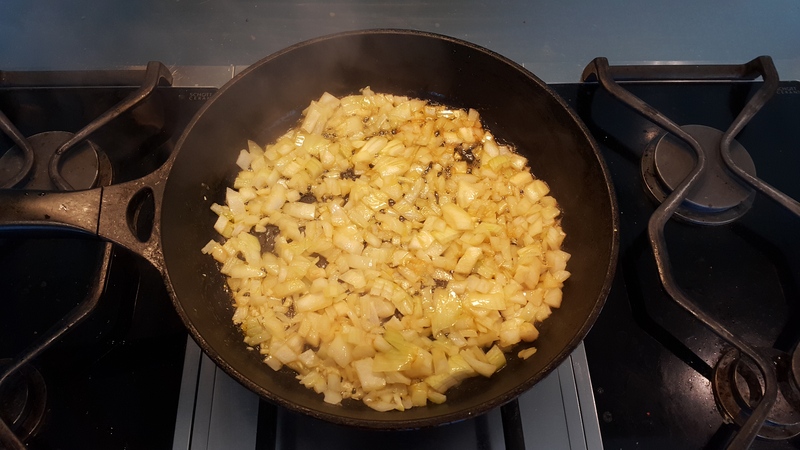 Once that’s done, melt a knob of butter in a frying pan and saute some onions and garlic, then add the chicken and stir well. 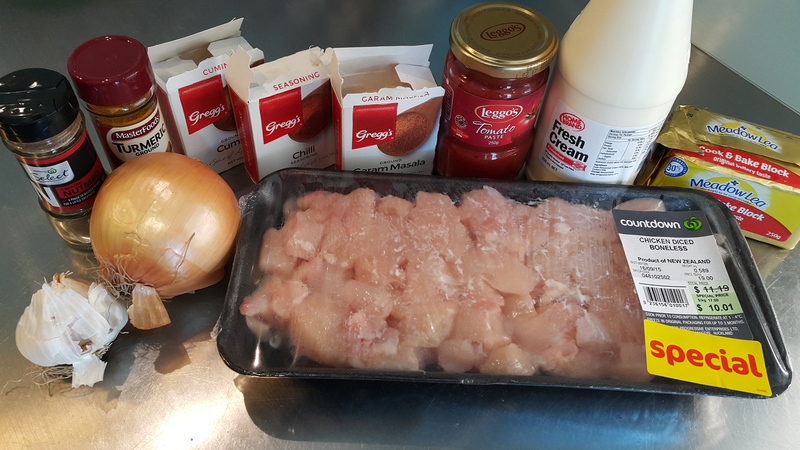 Making the gravy for the butter chicken is as simple as mixing in some cream and tomato paste with the chicken, and sprinkling in some garam masala. 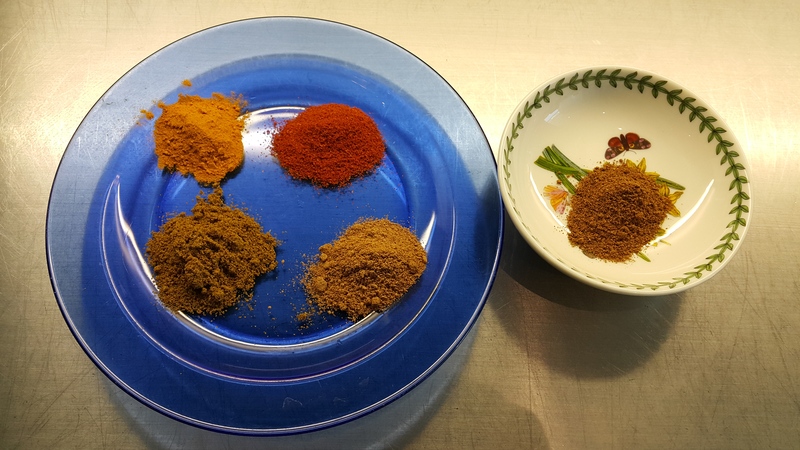 The combination of these ingredients will result in that classic, golden butter chicken colour. All you have to do now is to season and let the curry gently simmer on a low heat until the gravy is nice and thick and creamy. That didn’t take long, did it? The most surprising thing about this dish is how much it actually tastes like proper butter chicken, given the limited ingredients used and the relatively short cooking time. I have to say I had my doubts when reading through the recipe, but thankfully it turned out to be legit. Sprinkle some coriander leaves on top for a finishing touch. Be liberal with the gravy when making this butter chicken – you want to have plenty of liquid in there. The cream/paste will thicken as it cooks and you’ll lose some of it, so make sure you start with plenty.